concrete, and marble of downtown Houston. All thriving, healthier than ever, with vet bills cut in half. Which pretty much shoots holes in the theory that all horses cannot go barefoot. All of these did. Successfully! And most of the Houston Mounted Patrol horses work the streets bitless. The success of this program has now caused other mounted patrols around the country, most recently Austin, Texas, to go barefoot. The Houston Mounted Patrol is part of Strategic Operations, Homeland Security Command, Special Operations Division. The downtown business district and Hermann Park are the primary focus of Mounted Patrol. But, periodically, the mounted unit is given assignments to work with patrol divisions who are having a particular crime issue in a specific neighborhood. The unit has established itself as an undeniable asset to the Houston Police Department and the community we serve. The unit is an invaluable tool in crowd control and public relations as well as the enforcement of city ordinances and state law. All supervisors, police officers, and horses work together to provide the community effective, quality service. Due to the increased height on a horse the mounted officer is able to survey a large area quickly and address problem situations effectively. The officer and his mount are also a crime deterrent due to their increased visibility to the public. A mounted officer, on horseback, is able to transverse geographical areas in which it would be difficult for police officers in cars, on bicycles or on foot to proceed. One mounted patrol officer and his/her horse has been compared to the effectiveness of 10 to 12 police officers on the ground in crowd control situations. The unit providsd crowd control in many diverse events like the 1992 Republican Convention at the Astrodome; the 1994 and 1995 Houston Rocket NBA Championship Parades in downtown Houston; numerous Galveston Mardi Gras Parades; the 2004 MLB All-Star Baseball Game and the 2005 and 2017 World Series, both at Minute Maid Park; 2016 Final Four; Super Bowl XXXVIII and XVII and preceding parties in downtown Houston, along with after Super Bowl events. Although a mounted officer on horseback may be intimidating while in crowd control situations the general public sees him/her as very approachable. Citizens who wish to see and touch the police horse will stop the mounted officer many times during his/her tour of duty. Also, members of the mounted unit are requested almost on a daily basis to provide demonstrations for schools, civic clubs, and other community based programs. At these programs the mounted officer will explain the duties of the mounted officer on horseback as well as demonstrate the effectiveness of the horse in a law enforcement capacity. amazing success story came about. 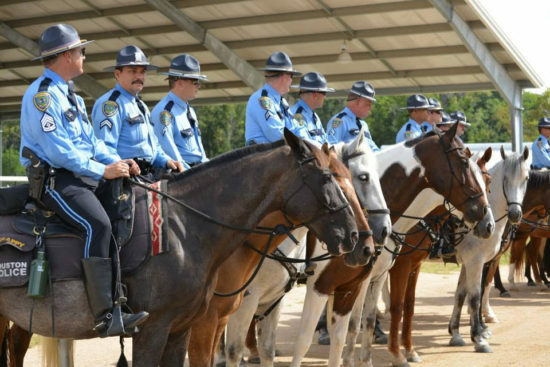 The Houston Police Department started its current version of the mounted detail in 1984 with fourteen horses and a small group of committed officers and supervisors. The assignment was a simple one —patrol the downtown streets of Houston on horseback. It was an effective undertaking that had a significant impact on the crime rate in the downtown area. All of the horses were donated in the beginning. The facility the officers used was an existing older one that met the basic needs of the horses. It also had some space for the officers to make the most of, and not much more than that. The horses received some limited turnout, but most of their exercise came from being ridden in the downtown area. The department had farriers and veterinarians under contract to care for the horses’ needs. The equipment, feed, tack, etc. came from various city contracts. things began to improve for the horses and their human partners when natural hoof care arrived in early 2004. It started when one of the detail’s officers, Greg Sokoloski, attended a two week long hoof trimming training seminar in the spring of 2004. Greg approached the detail’s lieutenant prior to taking the class and asked for permission to try out this new natural approach to hoof care on his own ‘assigned’ mount. When he found being barefoot didn’t mean lame and out of service for the horse, other opportunities to try natural hoof care presented themselves. emerged from the seminar quite confident in our abilities and ready to jump in and start helping the horses by pulling shoes and getting them back to work barefoot. There were some minor frustrations in the early stages, but the horses still benefited from our efforts. In particular, there was a secondary situation that would require more pages than I can write here that drove our choice to transition our herd to barefoot. But we also quickly learned it wasn’t as straightforward as we thought it was going to be. One problem was we picked some horses with advanced hoof pathologies that exceeded our existing trimming capabilities. In addition, we were doing some trims that were too aggressive for the street work we were doing. It appeared we needed better boots for these horses to assist with the transition to a life without metal shoes. Early on, we went through several different types of performance hoof boots, all with different designs and materials, with mixed results. I can honestly say they were all good quality and, in some instances, the designs were very unique. But most of the boots were not ideal for our use. We needed a boot that was durable, easy to apply, and that didn’t come with a big price tag. Some of our early test boots just wore out too quickly, some were OK for short periods but didn’t work well after being on our horses‘ feet for five, six, or seven plus hours. During the evacuation after hurricane Katrina, we were on our horses more than eight hours at a time in intense heat and humidity and some boot styles caused blisters on the horses’ heels. Maybe it was the sweat running down the horse’s legs causing the boots to slip that caused the problem. Maybe it was the bladder on the back of the boot getting too hot that caused the blisters. Either way, it gave us something else to consider when choosing and fitting boots. In the end though, it all added to our early trimming education database. After we were given the green light by supervisors to start the transition to barefoot, we made it voluntary for the officers. We told them about the transition period and explained that every horse was going to transition slightly differently. Then, we let them decide if they wanted to try it or not. We did not force the officers to do anything, we left it up to them. If they wanted to keep shoes on their assigned horse, they could. From the volunteers, we selected horses we felt needed the transition to barefoot the most and pulled shoes according to this status. We also considered the availability of boots for the horse and the amount of possible down time for the horse to get used to feeling the ground again. We watched the horses closely and let them tell us whether they were ready to go back to work on the streets. If a new horse came in to the herd that wasn’t assigned to any officer, it would automatically be barefoot. An interesting development later on was that we actually had horses donated to our unit solely because they would be barefoot! Sensitivity among the transitioning horses was hard to predict sometimes. Some horses we were pretty sure would be sensitive due to prior pathologies, but others that we thought would have issues transitioned quite fast. It was all very educational. Magnum was my first ‘victim’ on my journey toward becoming a certified trimmer. He is also my assigned mount. Magnum was one of the horses with some ‘issues.’ His feet were very overgrown and had some pretty unacceptable things going on. He had heel widths of four inches on his fronts and three and a quarter inches on the backs when we pulled his shoes in 2005. He now has five and a quarter inch heel width all around. His overall hoof health has also improved vastly. For an eighteen hundred pound horse, having strong healthy feet is helpful. He is also more than willing to have his feet trimmed now—not the case when I started at all. Joey: I mentioned Joey above. 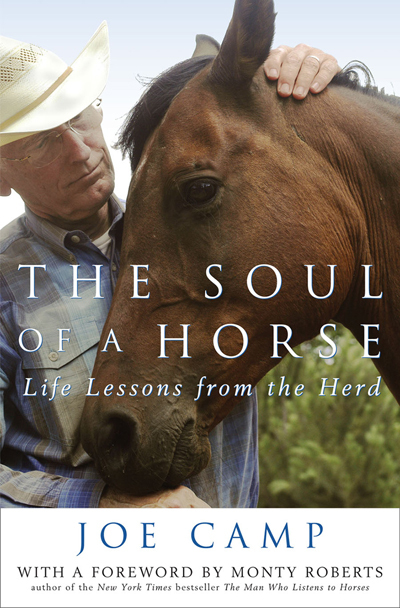 He was one of our early horses that was written off and then saved by natural hoof care. 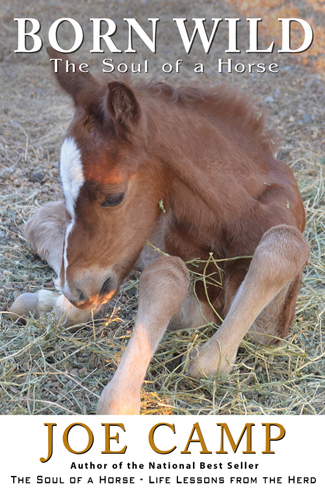 Joey was diagnosed with chronic ‘navicular’ syndrome. Then, after months and months of “rehabilitative” shoeing done under the guidance of a large veterinary institution in our area, it was concluded he should be retired. That’s when Greg Sokolosksi requested we trim him up to see what happened – what did we have to lose? As you can see from the photos below, Joey had some pretty major issues with his overall hoof condition too. He needed help. For example, if you look closely you can see almost his entire sole was covered up by the bars. A simple trim had him back being ridden in two weeks. Smokey was one of our last shod horses to join the barefoot ranks. He had some pretty long misshapen feet from many years of shoes. His feet looked like cans—straight and very round, not at all natural in appearance. I was pretty concerned that his transition would be a tough one because his feet were in an unnatural state for years. Turns out he transitioned beautifully to walking the streets barefoot. He never had to wear a boot and he didn’t miss a day of work after having his shoes pulled. It took several trims to get the feet where they needed to be, but he never had an issue. His feet are now some of the most solid we have in our herd. I don’t want to leave you with the impression that our transition to barefoot horses always went smoothly. It wasn’t quite so. Our barefoot police horse program has been no different than life; there have been ups and downs. There were some mistakes—all of which were learning experiences. There were also some frustrations—some we caused and some were caused by outside sources. We were even anonymously reported to the S.P.C.A., more than once, for being cruel to our horses by making them walk around on the bare soles of their feet. But when the investigator came by to take a look at the horses, they passed inspection with no problems. We were found to be responsibly handling the transition of our animals. I guess I can understand the concerns of the anonymous reporters because I have seen some horses misused and abused by irresponsible individuals. But it still upsets me that someone felt our horses were being mistreated. By December 2005 we had come reasonably far in our methods of trimming and booting, but then we got a boost from outside sources —knowledgeable people who knew some things we hadn’t figured out yet. We weren’t too far off the mark, but new insights about the wild horse model of natural horse care and booting definitely enhanced our program. It was what spurred Danny Pryor and I to follow a formal training program to become certified trimmers. wasn’t working out for him financially. It worked out well for the horses though—all four transitioned magnificently, and the officers for the most part were good with the switch. It’s amazing how a misshapen hoof can return to its natural state after ten or more years of being shod. Along the way, we gathered some interesting information on the horses as we pulled shoes. We took some measurements and photographs spaced out over the weeks/months that followed pulling the shoes. When we looked at what was happening it was pretty impressive. The horses’ feet were definitely looking better. They were returning to normal with heels spreading and toes shortening. It was great. We also saw other developments, some obvious ones we anticipated, like farrier costs dropping, but others surprised us, like a drop in overall veterinary costs. Was the drop in vet costs just a coincidence? Maybe, but it makes you wonder whether we are actually improving the overall health of our horses, not just their feet, by going barefoot? From my personal observation, we have had an impact on the overall horse. The decline in vet costs are impressive in some cases. We have also seen a decrease in the number of colics, although I can’t say for sure whether it is attributable to removing the shoes. There were 16 colics in 2005, five in 2006 and only one in 2007. Whether this remarkable improvement continues or is just a normal fluctuation remains to be seen. In other instances it is something more subtle. A horse that used to protest to having shoes nailed on now freely picks up his/her foot to be trimmed. The mental health of a horse is something that can’t easily be measured, but it is pretty obvious to those of us who spend time with our horses that there has been improvements there too. Walk around in some constricting, unyielding shoes for twenty four hours a day and see if it makes you a tad grumpy. Most of the horses go on day to day patrols barefoot … without boots, and they are thriving that way. We have found that traction improved over shoes in most cases. There are granite and marble sidewalks downtown that were as slick as ice when the horses were shod. It is no longer an issue with barefoot or booted horses. And, there is no longer the damage a borium tipped steel shoe does to exotic stone walkways. Boots are available for all of the horses—they hardly ever need them. We do make sure they have them on for large demonstrations and assignments where there is the possibility of broken glass and debris on the ground. The boots protect much more of the hoof than shoes. walk away better informed about horse use and care is well worth repeating the same answer thousands of times. All the horses in our unit are now barefoot and happy. So, do we just call it a day? I don’t think so. We continue to learn. We are also working to improve our horses’ environment which is just as important to hoof and horse health as the trim. We have been in our new facility for over a year. It has been a huge improvement in lifestyle for the horses. In our old facility, the horses were housed in stalls with no attached run-outs. Now, each horse has its own fifty foot run-out attached to its stall. The run-outs are lined with crushed granite which has proven to be an excellent abrasive for stimulating and exfoliating the soles of our horses. We now have several large paddocks for the horses to move around in too, instead of the small paddocks we had previously. It’s a huge improvement. Thrush, which is a constant challenge in our wet climate, has also become pretty scarce at our new facility compared with our old location. The diets are the best we can get. The horses get all the free choice hay they can handle and a good quality pelleted feed. We are still bound, unfortunately, by the city bidding/contract system, but we strive to keep improving on things as we can. We have a veterinarian that is very supportive and very forward thinking, which is a huge plus. We are also trying to help mounted conservation, park and police officers in other cities see the benefits and make the transition to barefoot horses. Toward this end, Officer Danny Pryor and I are working with Liberated Horsemanship to establish a training and support program specifically designed for mounted units. 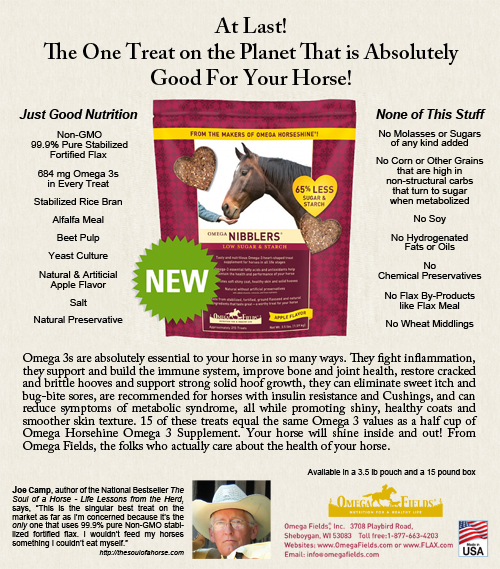 Hopefully, we can help lead the way toward a more comfortable and healthy life for horses around the country.